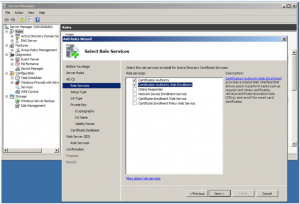 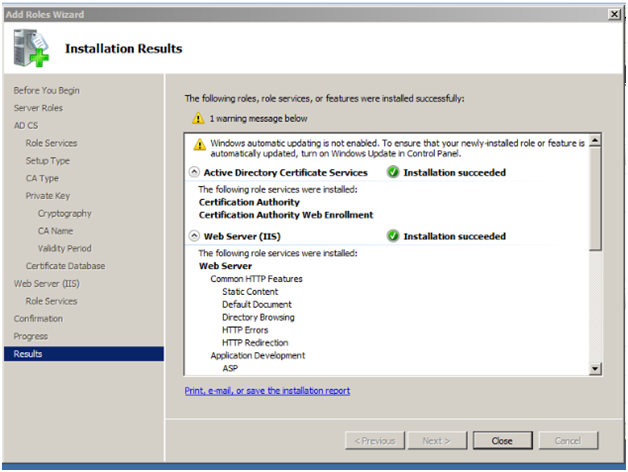 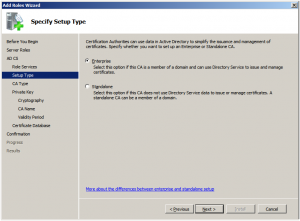 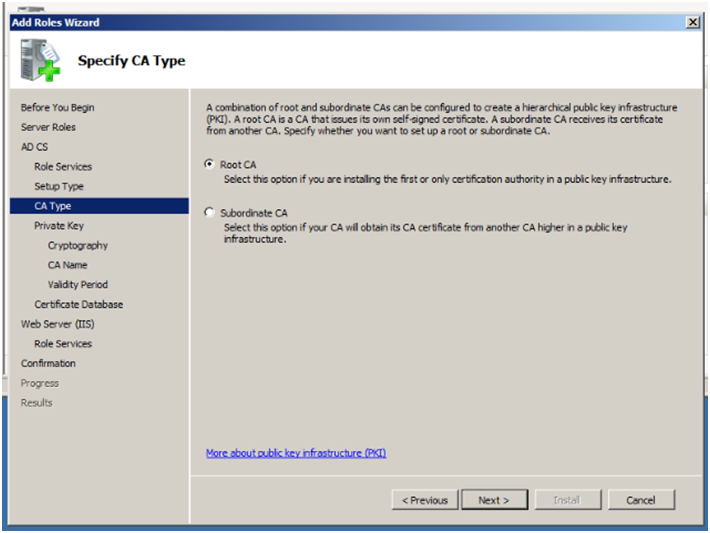 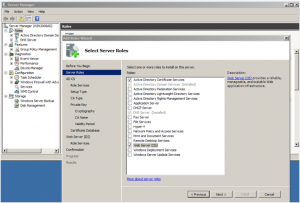 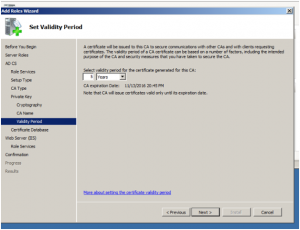 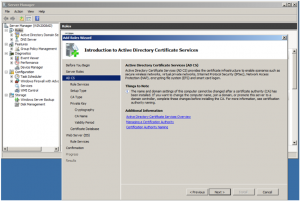 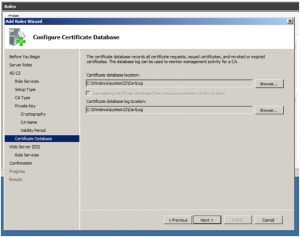 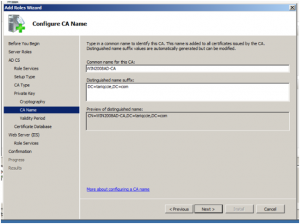 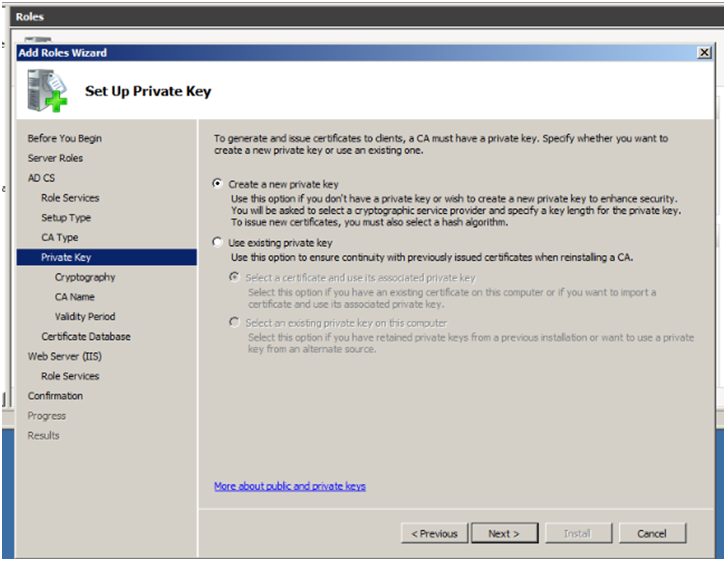 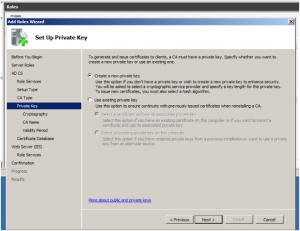 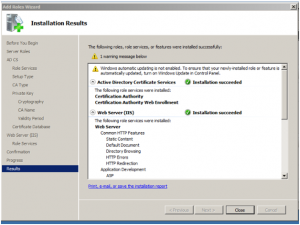 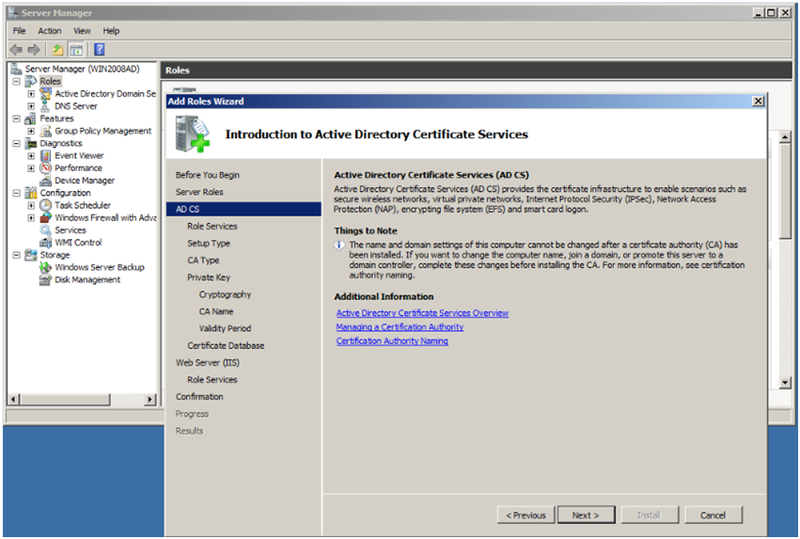 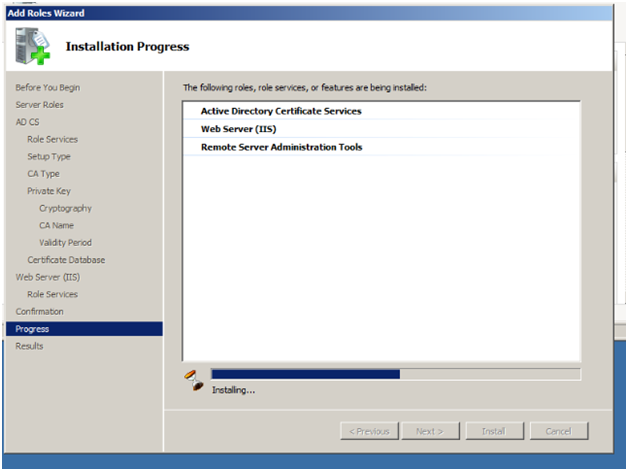 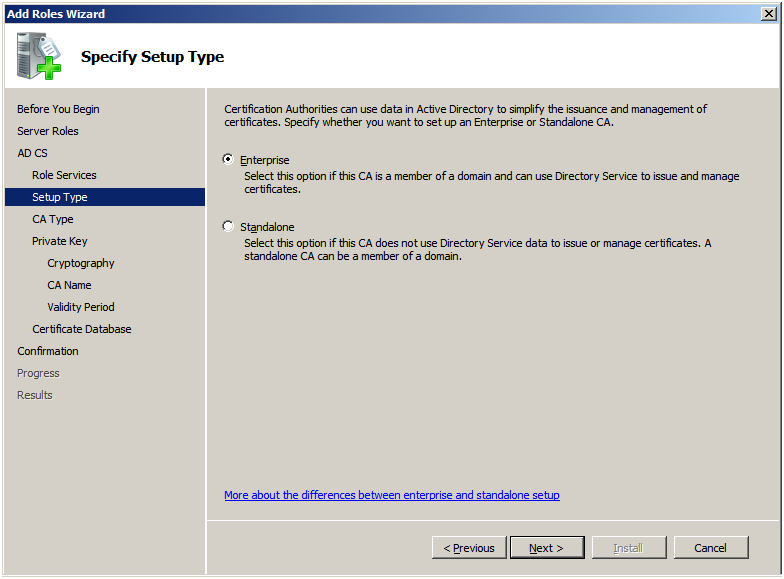 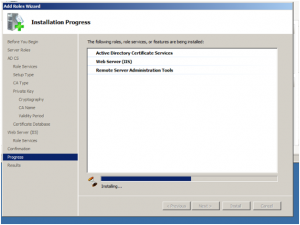 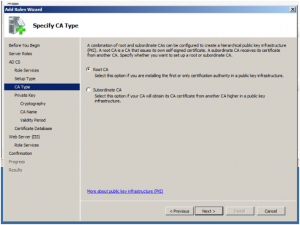 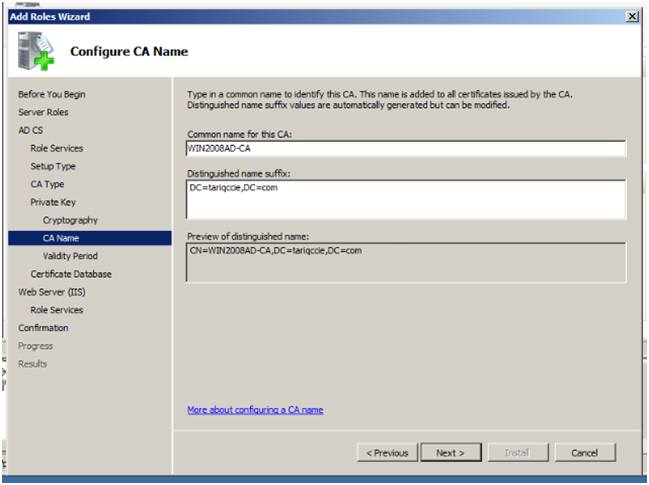 In this blog post, i would cover steps you need to setup an Enterprise Certificate Authority (CA) & in subsequent posts, i would demonstrate how to install an Enterprise CA issued Identity Certificate on Cisco Secure ACS 5.X Server . 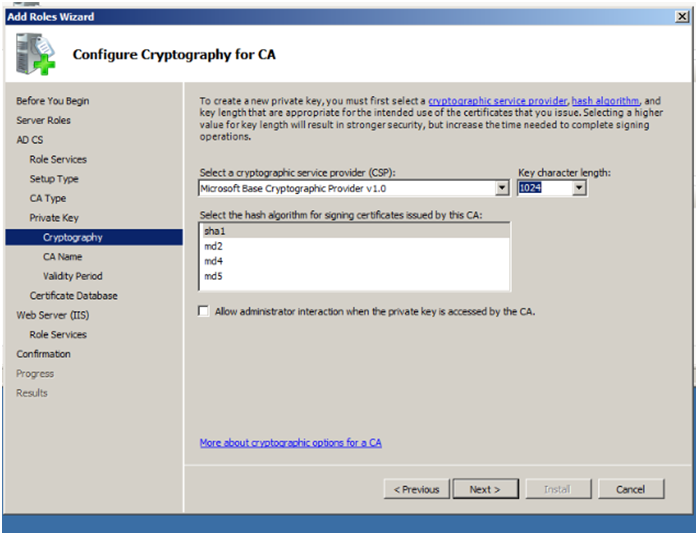 I would also walk-through a scenario with Extensible Authentication Protocol – Transport Layer Security (EAP-TLS) authentication setup for a Client. 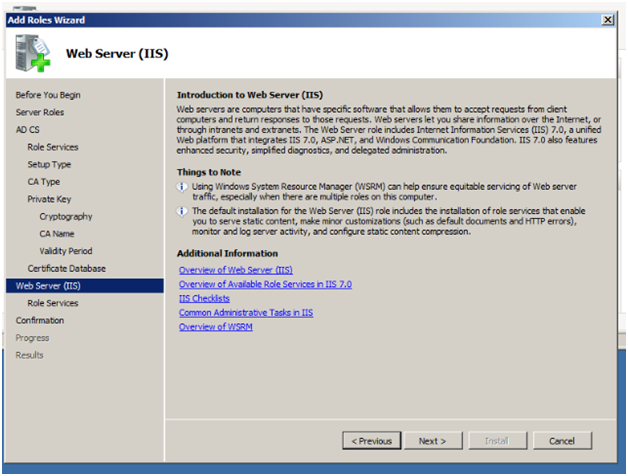 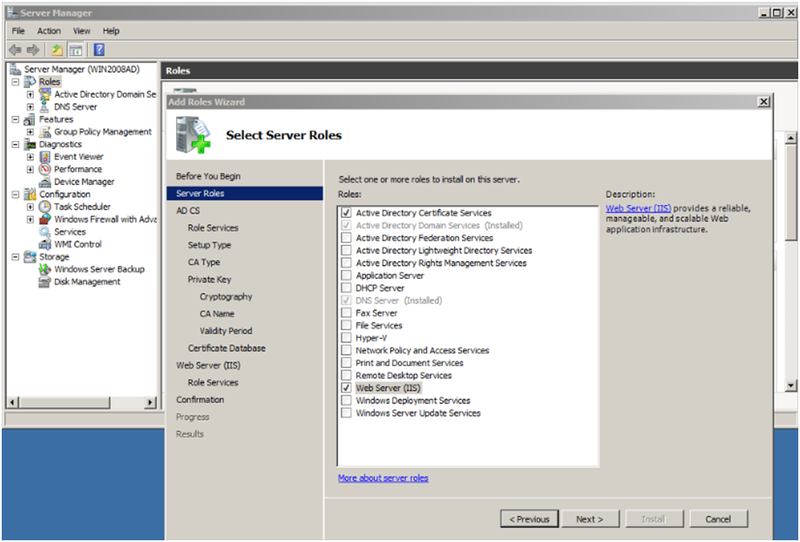 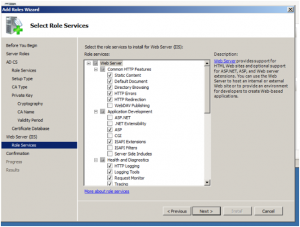 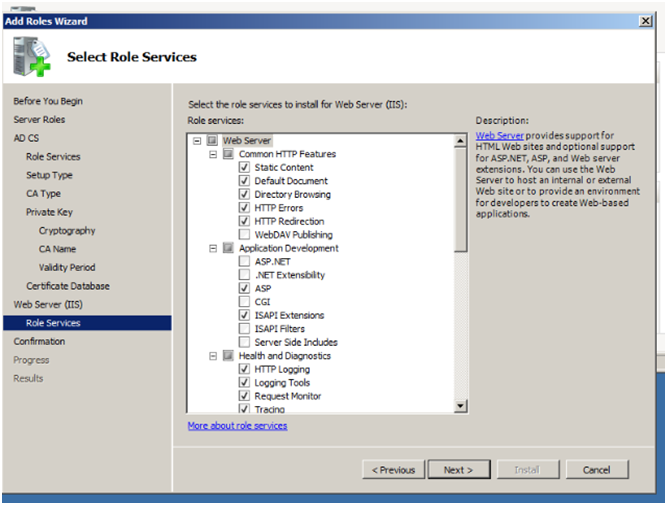 First, start the Server Manager & Click Add Roles under Roles Summary. 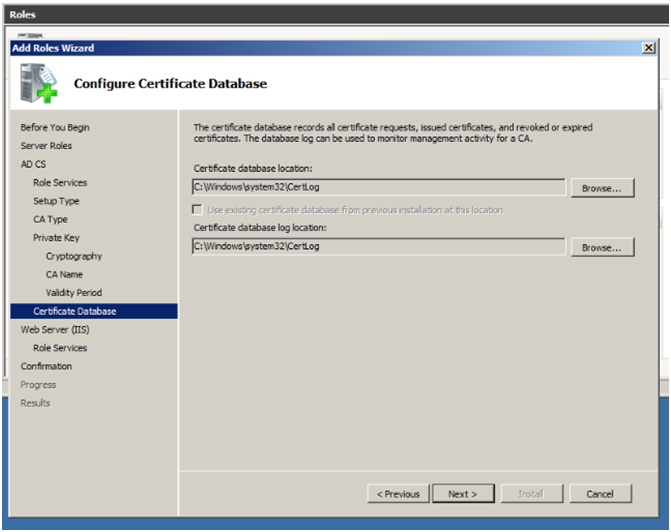 Accept the default database locations and click Next. 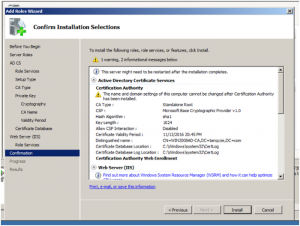 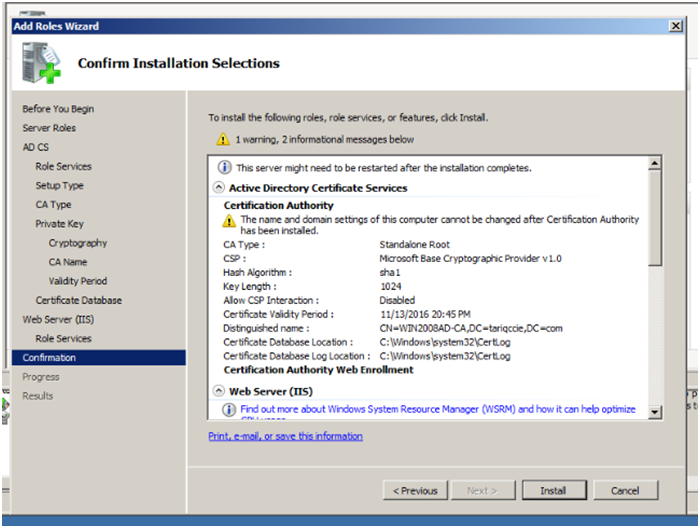 In subsequent posts, I will cover on how you can generate Certificate Signing Request (CSR) on ACS , enroll / install Certificate on ACS & setup EAP-TLS authentication Scenario for a client supplicant.